The capital of beautiful Tuscany, Florence is the third largest city in Italy (after Rome and Venice) as well as being one of the most visited. It’s a city famous for being home to some of Italy’s finest museums, beautiful cathedrals, interesting squares and elegant buildings. We recommend taking in the sights that interest you and then allowing for some time to just wander. One of the biggest charms of Florence is its charming streets and nothing will allow you to immerse yourself in them more than getting lost. 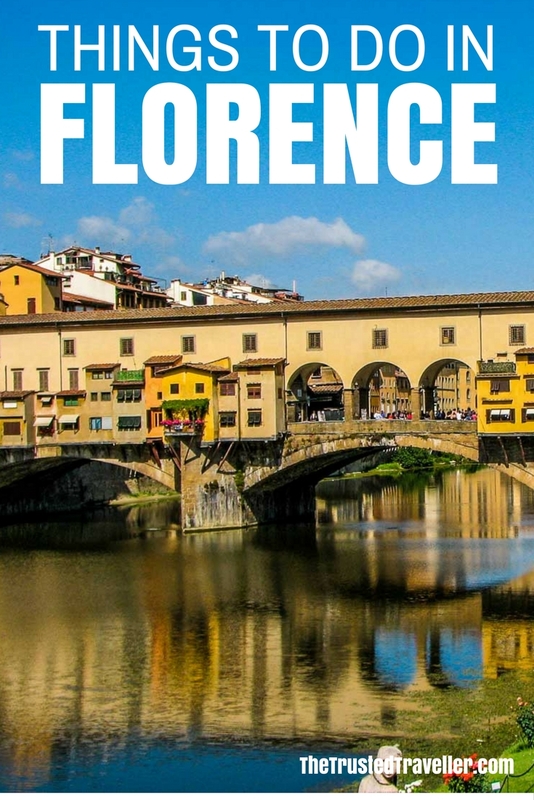 To help you get started with your Florence travel planning we’ve put together this short list of things to do in Florence that has something in it for everyone. 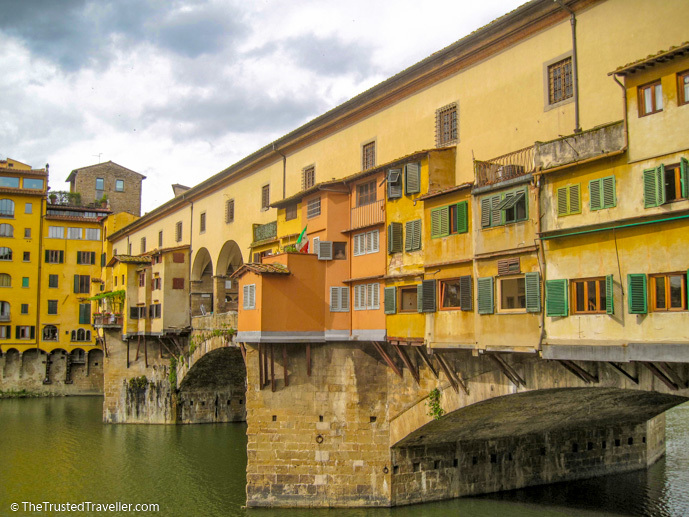 The 14th century Ponte Vecchio is Florence’s oldest bridge and should be explored both up close and admired from afar. The bridge is lined with expensive jewellery stores that overhang down each side and can get quite crowded during period times of the year. We suggest walking a little down the river to Ponte Santa Trinita to get the best view of this famous bridge, hopefully with the perfect reflection. Hours: Great to visit at any time of day. The stores on the bridge generally close by 18:00 each day. The Uffizi Gallery is by far the greatest place in the world to see Renaissance art with an incredibly unique and expansive collection of piece from just about every famous artist of the era. Because of this it is a super popular place for visitors so we suggest you booking your entrance time in advance so you don’t end up missing out. And other top tip, allow plenty of time as the gallery is so expansive. Three hours should allow you to see the best of the best. Cost: Adults €18.50 | Reduced (European Union citizens aged 18-25) €14.50 | Under 18 Free | First Sunday of the month free for everyone. Hours: Tuesday – Sunday 08:15-18:50 | July 1st to September 20th open until 21:00 Tuesdays and 23:00 Saturdays. 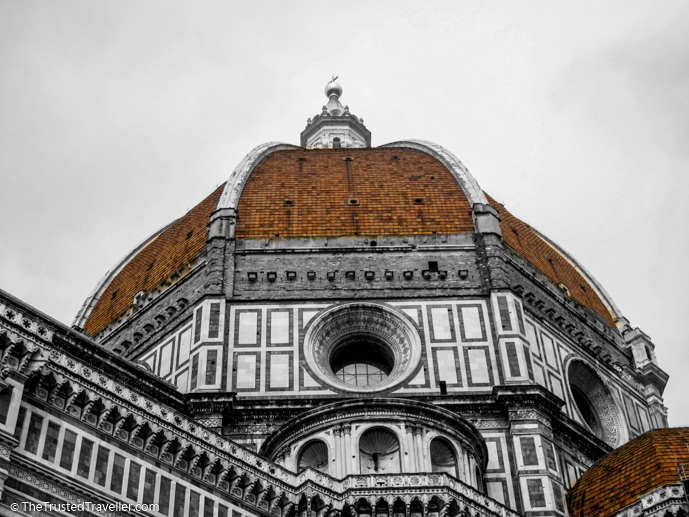 Florence’s stunning Duomo dominates both the cities skyline and the square it sits on. The building itself is simply a work of art that took six centuries to complete. Once you’ve wandered around outside, head inside the look up into the impressive 37,000 dome which you can also climb to get a closer look. And for an even better work out you can walk up the 414 step Campanile (Bell Tower) for spectacular views over Florence. 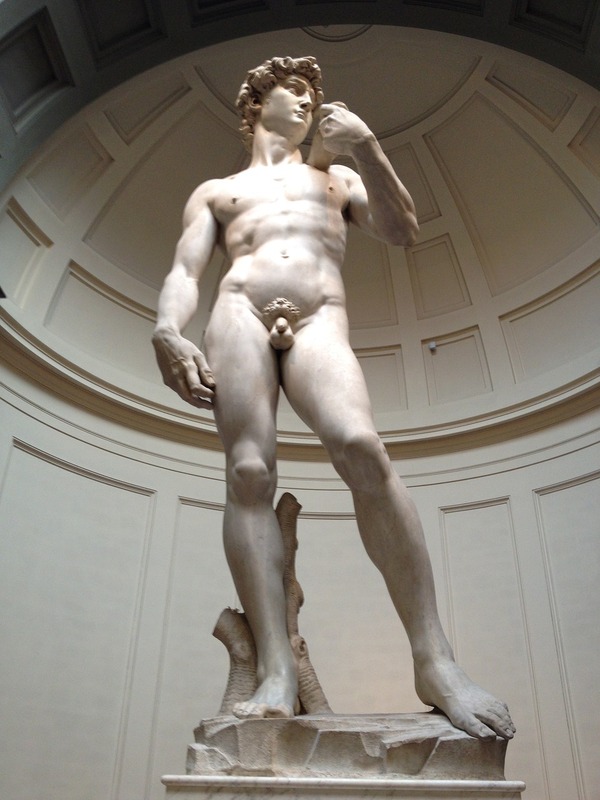 This gallery contains a huge number of important and historic works of art but it is just one statue that brings in the crowds, Michelangelo’s David. There is usually a queue to see the statue so get there early or later in the day to avoid the crowds. While your there you can check many more Michelangelo masterpieces plus a broad collection of Gothic and Renaissance pieces from other artists and one of the best collections of musical instruments you’ll find in one place. Cost: Adults €23.00 | Reduced (European Union citizens aged 18-25) €16.75 | Under 18 Free | First Sunday of the month free for everyone. 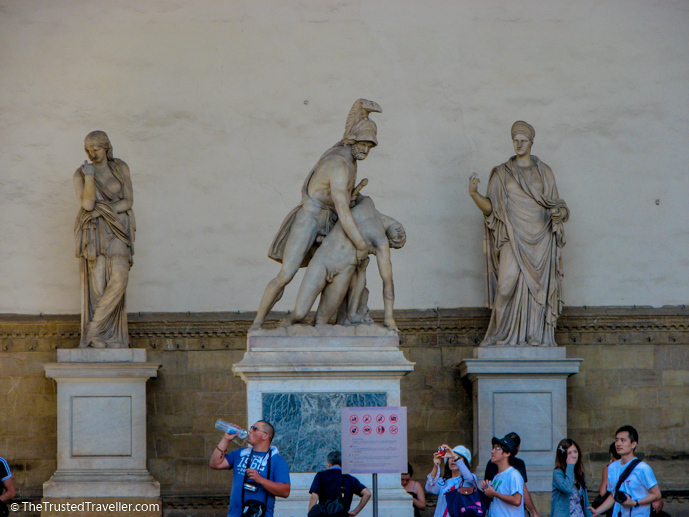 The best of the free things to do in Florence is hang out in the Piazza della Signoria. Not only is it an excellent place for people watching, the Piazza is also surrounding by wonderful looking buildings and works of art. The Palazzo Vecchio, once home to the Medici family, is the most dominate building and right out front you’ll find a replica of Michelangelo’s David. Right next to the Palazzo is The Loggia, an outdoor sculpture gallery full of some pretty impressive works of art and a central fountain. Hours: Great to visit any time of day. Any research you’ve done to date on Florence would have likely included a photos from the Piazzale Michelangelo. 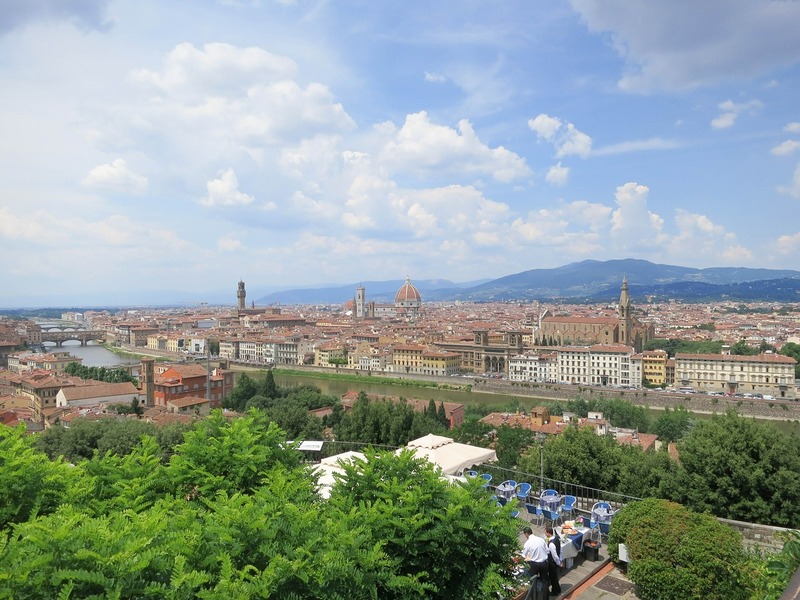 Located on a hill just south of the Arno River is this picture perfect viewing point where you can see Florence perfectly laid out including all the famous landmarks of the city. It’s a great place to grab a gelato and just enjoy life. Want to see what ingredients the locals like to cook with? Well you can’t go past a visit to the local market. 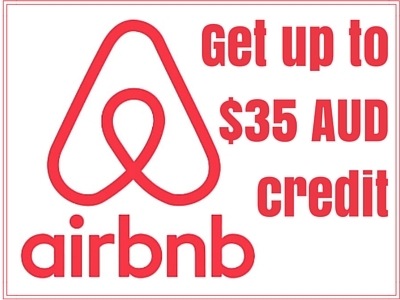 The biggest and easiest to get to is right in the heart of town just a few minutes walk from the Duomo. Inside you’ll find vendors selling everything from fresh produce to meats and seafood plus dry ingredients like spices and nuts. 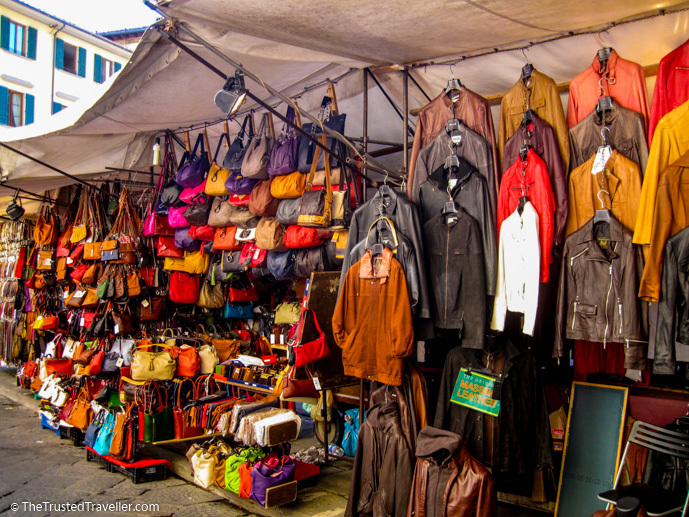 Step just outside and you’ll find vendors selling leather goods, the item to buy when in Florence. 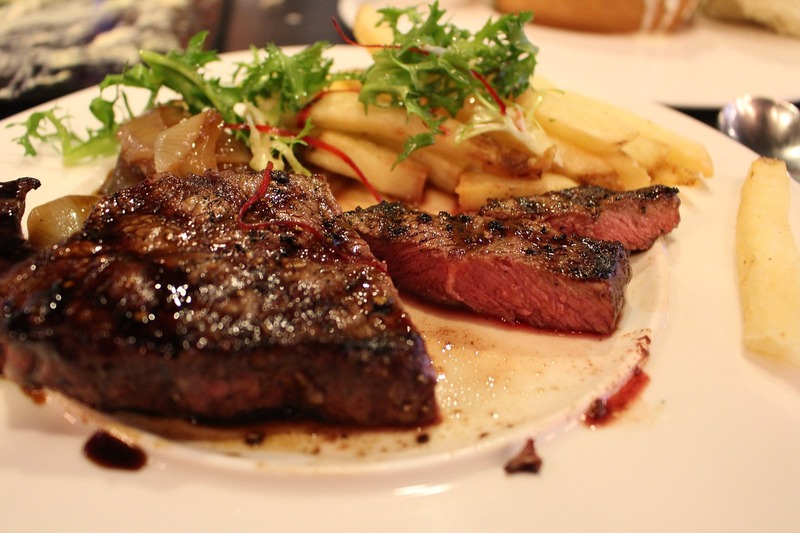 If you are looking to try the signature dish of Florence then look no further than the Florentine Steak. This thick cut of beef is served in just about every restaurant in town so finding yourself one won’t be a problem. Most places will serve it by the kilo and some will have a window where you can pick the exact slab of meat you’d like. Cost: A good quality Florentine Steak will cost you upwards of €15.00 depending on the size. Hours: Restaurants are generally open for lunch from 11:30 – 15:00 and dinner from 17:30 – late. Florence is located in the region called Tuscany but seeing the city alone is by no means a complete visit to Tuscany. If you have limited time and can’t afford the time to spend a few days exploring Tuscany then a day trip from Florence is your best option. 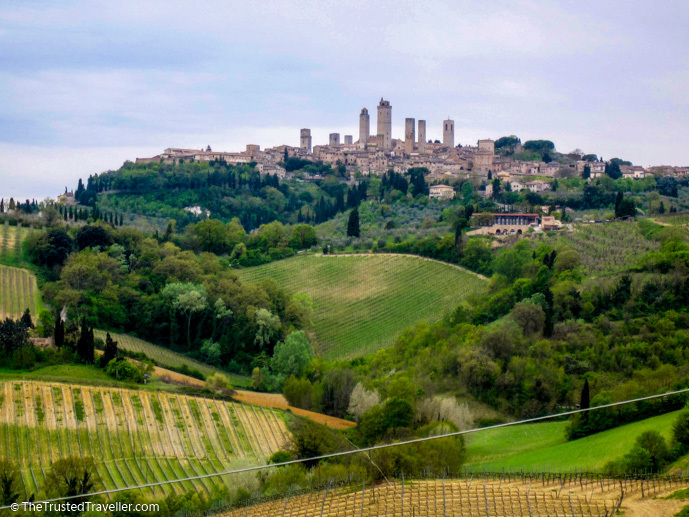 There are lots of different tours available and we’ve recommended our favourite below, but a few things to look out for are visits to a Chianti winery plus at least the towns of Siena and San Gimignano. Tour Suggestion: See the best of Tuscany’s small towns plus a tour of a Chianti winery with this GetYourGuide tour. More Information: Check the link above for more tour information. 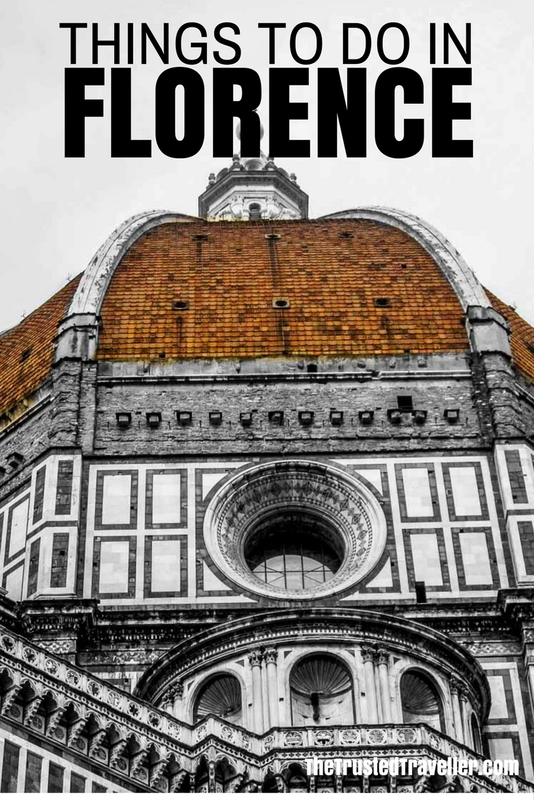 What’s top of your list of things to do in Florence? Or have you been already, what did you love about it? I adore Florence, it’s one of my absolutely fave cities in the world. 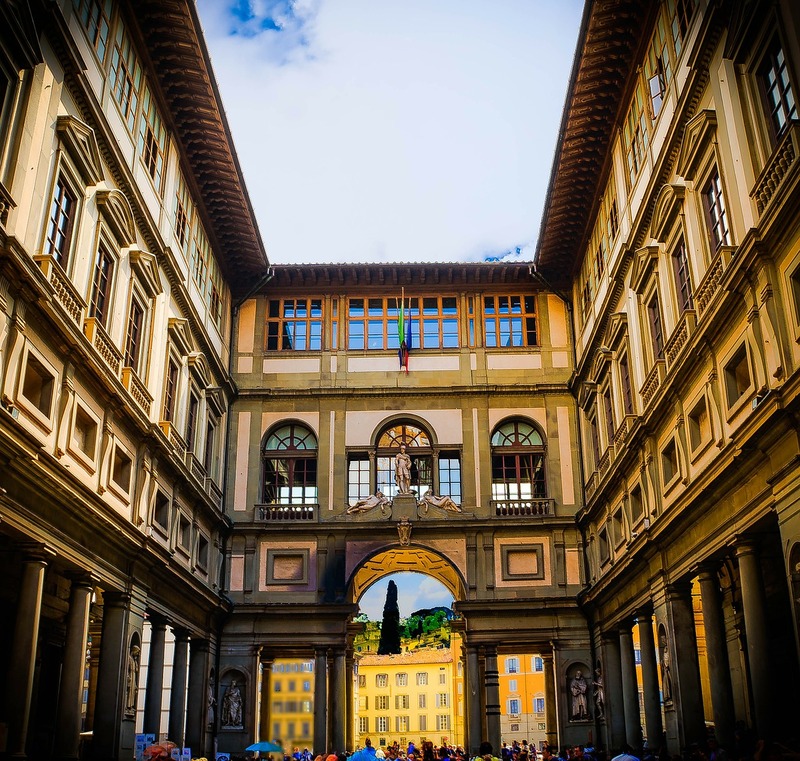 Definitely book Uffizi in advance to skip the line – we were there a few weeks ago and waited for over an hour! Aside from all the amazing museums, monuments, art etc. Florence has so much more to offer and since all the major tourist sites are close to eachother they can be done pretty quickly which leaves time to explore more of the city. Great tips. Thanks for sharing them Gale. I just booked some flights to Italy for next June! 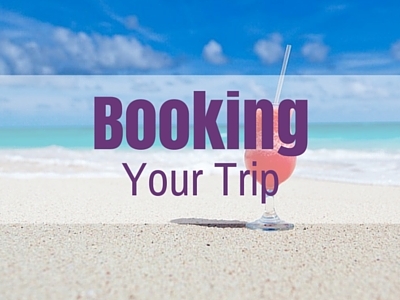 We’re following a schedule really similar to your suggested 2 week itinerary, except we’re skipping Assisi and also staying in Sorrento for a few nights. 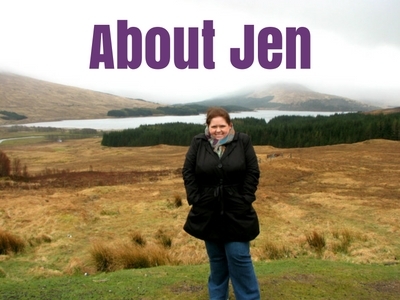 Your website is so helpful in narrowing down things to do and see. Definitely have to catch up soon. Thanks Jade! So glad you found this helpful and I hope you guys love Italy as much as I did. Was great seeing you the other night too!